Shi Er Duan Jin is also known as a type of Daoyin in ancient China. Daoyin is a Chinese school of traditional heath preservation exercises combining breath control, body and limb movements, concentration of the mind and local massage. It is made up of 12 movements. The word “Jin” means, that as an integrated sitting Daoyin exercise, the movements in this sequence look like a delicate, beautiful and continuous drawing. Health Qigong Shi Er Duan Jin was created and compiled by researching and editing Zhong Li Ba Duan Jin and Shi Er Duan Jin according to the principles of Qigong and the physical and mental characteristics of people in modern society. Shi Er Duan Jin has retained the essentials of both stillness and motion, as well as the emphasis on both the physical and mental practice. 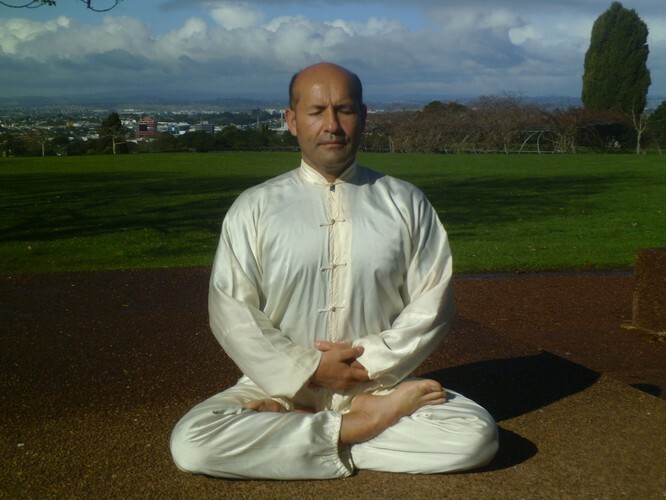 This follows the original ancient Qigong methods and emphasises the clearing of energy blocks as well as the health and freedom of the spine. This set has integrated such traditional Qigong methods as massage, Daoyin, meditation and reflective contemplation.